Two years back, during my sons’s activity project I had to learn making Bhapa Pitha. For a strange reason I always thought making Pitha (Bangladeshi desserts) is tough. Now that I can make an entire cake and decorate it too, I know making pitha can be tiresome but never impossible. Hence these days I make pitha at home, and don’t drive my mother in law crazy to make pithas for me. 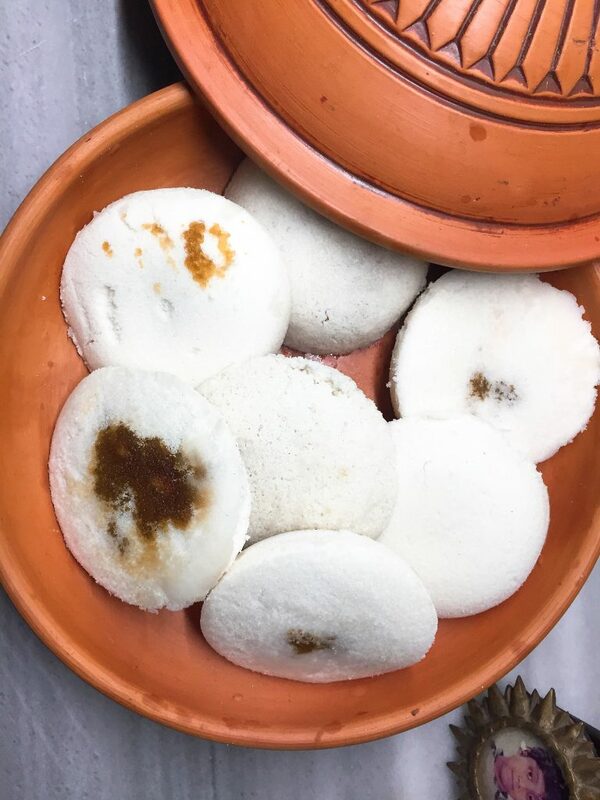 Bhapa Pitha is perhaps the most famous pitha. 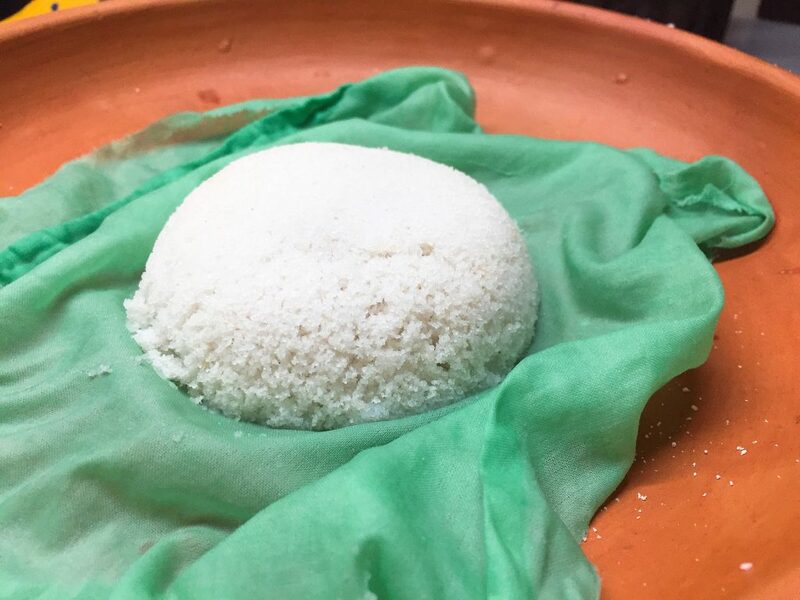 It is essentially a rice cake filled with molsasses and coconut. But I don’t like coconut in pithas, therefore always try to avoid them in my version. 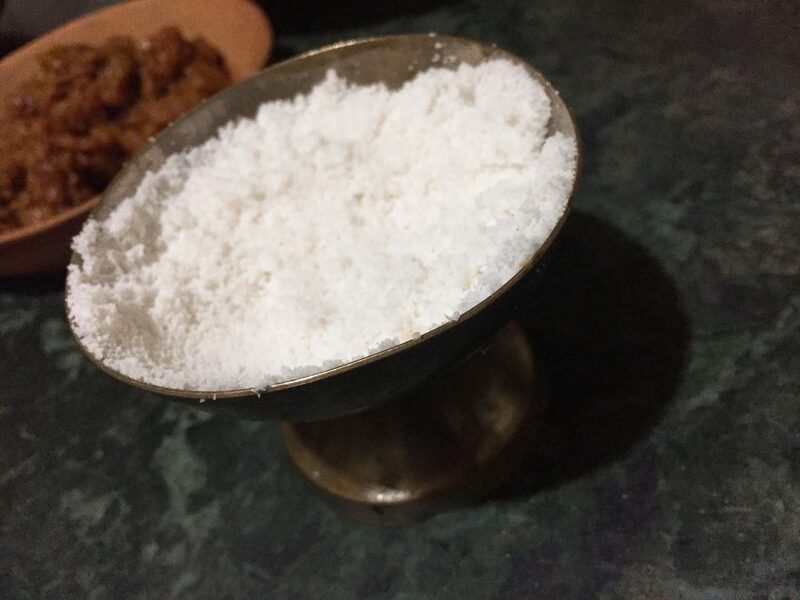 I have to admit; in my pitha adventure my husband supported me a great deal with his tips. Now that I am a pro in Bhapa pitha it is because of his tips. Winter mornings are nothing without the pithas. A bowl of chitoi pitha and a bhapa pitha is the best winter morning breakfast I can think of. 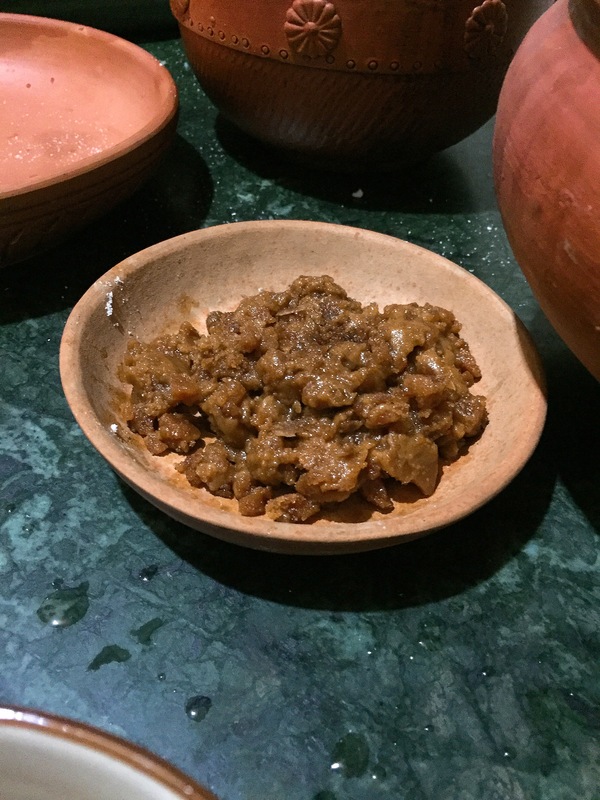 Although practically winter is over in Bangladesh for this year it seems, but still as the calendar says it is, those who haven’t made this or dreading to make it but craving for it, give it a try. My rice flour was made my lovely mother in law and the molasses was a gift by a young lad whose, family is in the molasses business. I got the best ingredients. But you can get all your ingredients in Dhaka Dough, organic and fresh products. Order a home service and get on with it. The special pan is available in all the big markets like Karwan Bazaar, but you can always make one, cover a pan with foil paper, make few holes and you are done. I have own pan, which I inherited from my mother. The mould is a wonder. I picked it up from my mother’s home decorating items. And the clothes are in my pantry for such uses. The process is easy but thorough. Remember to put the clothes in a bowl of water before you start, it is very important to have dampen cloths for the steam to work better. Also clean the pots and plates with the help of maid cleaning service. 2 pieces of soft cotton cloths, old saree pieces works fine. Measure the flour and add salt. Do not add the entire 1/2 cup water all together. Just sprinkle small amount of water at a time on the flour mixture to dampen the flour. The flour mixture should look like bread crumbs. Shift the damp flour again through a strainer. The strainer needs to have very fine holes. 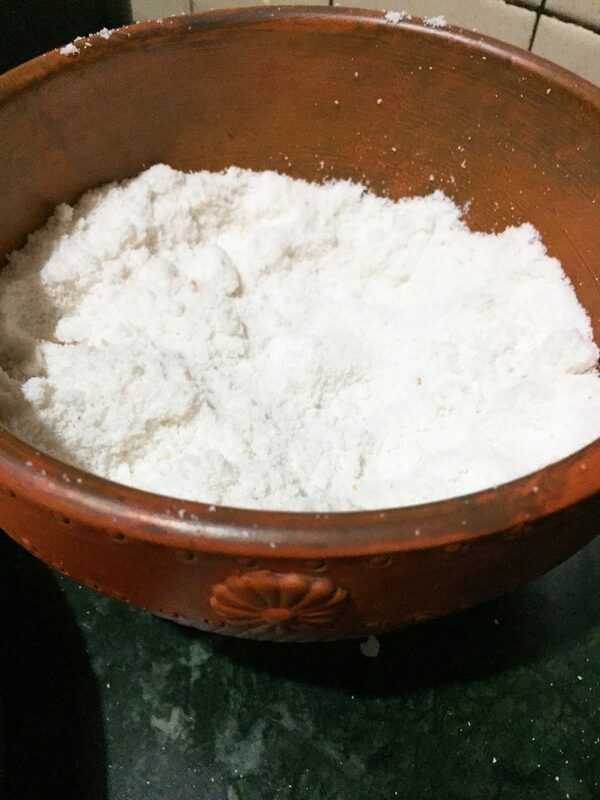 It is important to have fine mixture as smaller particles make the pitha very light. Press with your palm and shift the flour slowly and let it stay for 15 minutes. Put water in the pitha making pot and let it boil. When steam comes out of the pot, the water is ready. Put some flour on the mould loosely, don’t press hard. Then place some molasses at the center of the bowl. Cover the molasses by spreading more damp flour on top. Again don’t press it hard. Use soft touch and mild approach. Now squeeze out water from the wet cloth and spread it over the wet cloth on the flour mould. 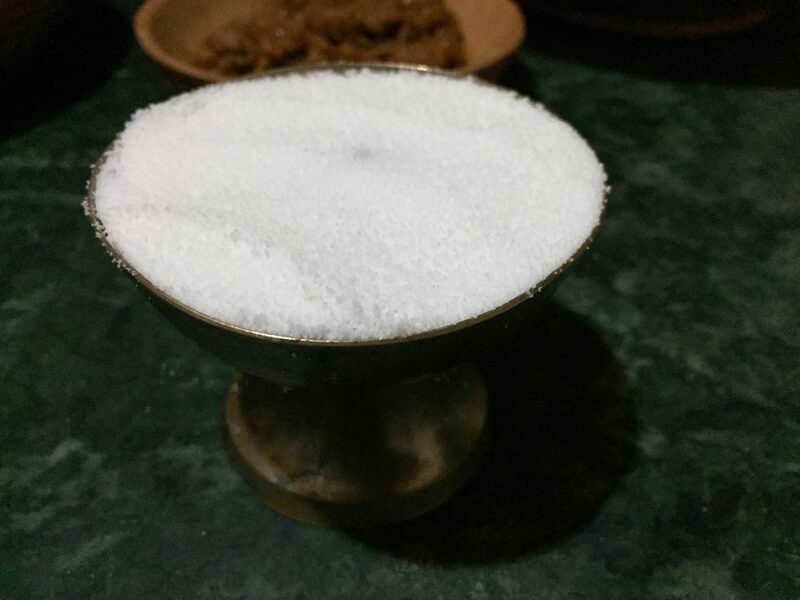 Carefully take out the bowl, cover the pitha with the corners of the wet cloth. Cover it by a lid so that steam can’t get out and let it cook for 10 minutes. 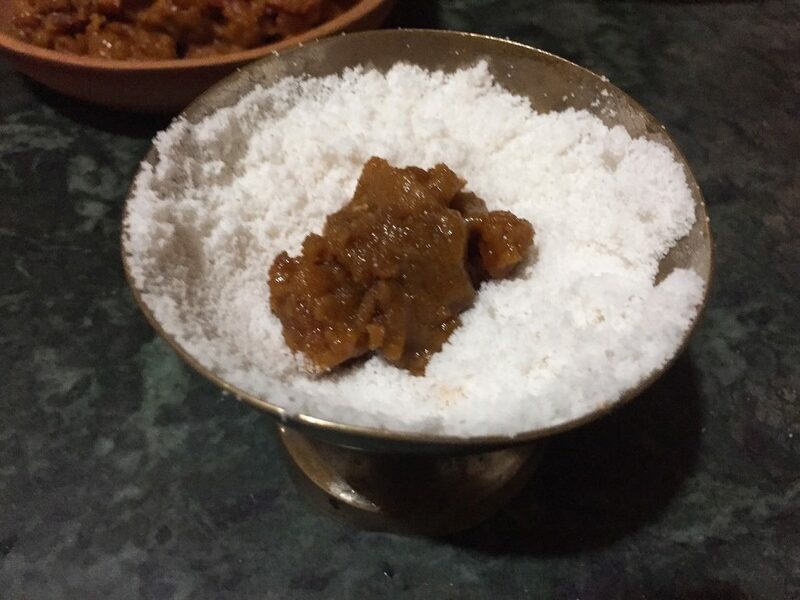 The molasses is required to melt and mix in the flour while the rice flour cooks. Be careful of the steam when you remove the pitha from the pan. Have it while it is still hot, I mean straight from the pot to the plate. Keep it warm and serve it warm.